Audi continued to drive its major model and technology initiative in a difficult market environment. It presented the e-tron premium SUV, the brand’s first fully electric series-produced model. “Vorsprung” is an active brand promise that is delivered throughout the world, making Audi one of the most highly desired brands in the premium segment. In 2018, the brand had around 20 market launches, thus continuing the renewal of its model range and further strengthening its product portfolio. 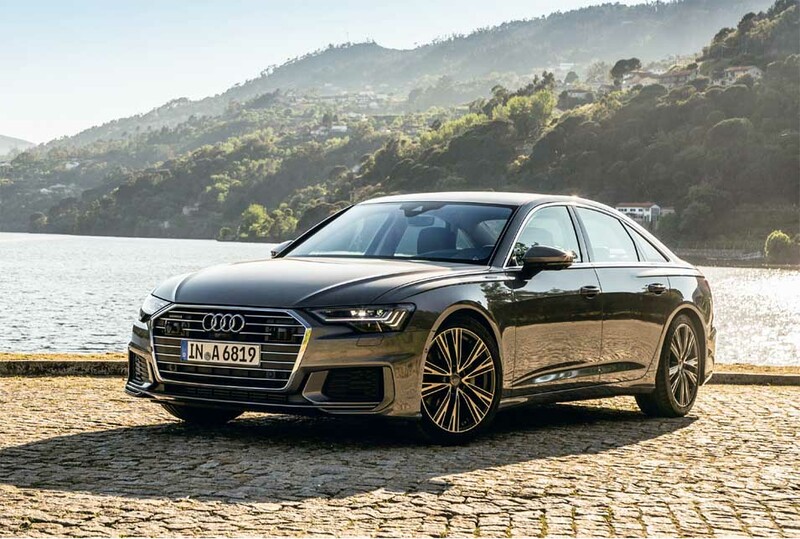 Audi presented the new A6, the eighth generation of its successful premium saloon. The A6 features dynamic surfaces, sharp contours and striking lines, conveying sporty elegance, cutting-edge technology and sophistication. Audi also presented the new face of its Q family for the first time: the Audi Q8. This combines the elegance of a four-door luxury coupé with the practical versatility of a large SUV. Its distinguished design is underlined by an imposing octagon-shaped, single-frame radiator grille, an elegant sloping roof line and up to 22-inch wheels. Audi started its electrification offensive in September 2018 with the world premiere of the e-tron. The SUV is the first all-electric production model from the brand with the four rings. Its comfort and spaciousness are equivalent to a traditional premium model. At fast-charging stations, the e-tron is ready for a long-distance drive after 30 minutes. A large number of pre-orders for the e-tron had already been received by the end of the year. By 2025, Audi plans to offer at least 20 electric models. In the past fiscal year, Audi faced challenges from a difficult market environment and the new WLTP test procedure. The brand delivered a total of 1.8 million vehicles, a decline of 3.4%. While unit sales in Western Europe were down 13.9%, there were increases especially in China (+10.9%). Audi sold 1.5 (1.5) million vehicles in 2018. Unit sales by the Chinese joint venture FAW-Volkswagen amounted to a further 620 (552) thousand Audi vehicles. The Q2, Q5, A4, A7 and A8 models were especially popular. Unit sales at Automobili Lamborghini S.p.A. amounted to 6,333 (3,897) vehicles. The increase was mainly due to high demand for the Urus. Globally, Audi produced 1.9 (1.9) million units in the reporting year. Lamborghini manufactured a total of 6,571 (4,056) vehicles in 2018. Sales revenue of the Audi brand was €59.2 (59.8) billion in fiscal year 2018. Operating profit before special items was 7.0% lower, at €4.7 billion. Mix improvements, positive exchange rate effects and product cost optimization were unable to compensate for lower vehicle sales and higher sales costs, both of which primarily reflect the impact of the WLTP, as well as higher depreciation and amortization charges due to the large volume of capital expenditure. Audi generated an operating return on sales before special items of 7.9 (8.5)%. Special items resulting from the diesel issue amounted to €−1.2 (−0.4) billion. The financial key performance indicators for the Lamborghini and Ducati brands are included in the financial figures for the Audi brand.